Here's a crochet wash cloth pattern you are sure to love. My children have all loved playing with snails at some point in their lives. They really are pretty neat! To help keep her hair out of her face on these warmer spring days. Here is a quick pattern made using 2 threads to achieve a fantastic, interesting piece she is sure to adore. Do you love butterflies? Here's a fantastic pattern so you can crochet your own. Skill Level: Medium. This pattern uses a mix of stitches, working in chain spaces and other stitches. Reading pattern first is recommended. 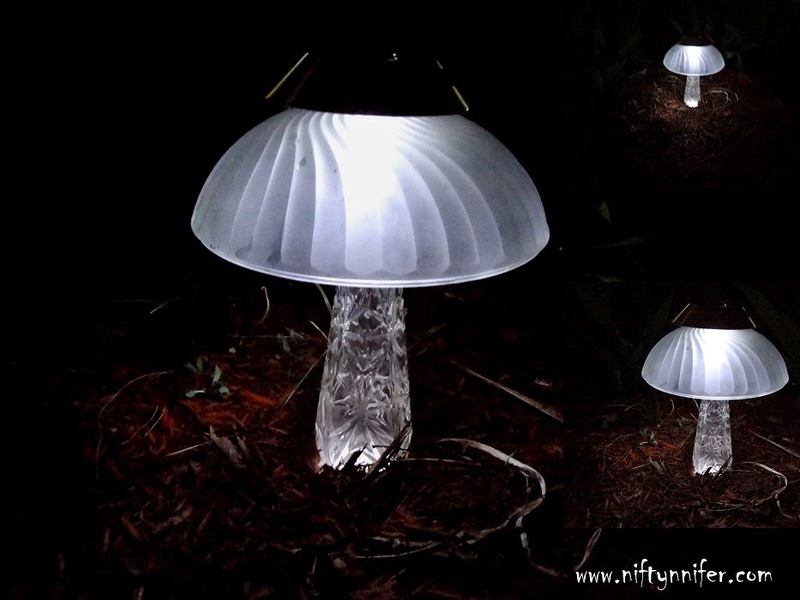 My Solar Powered Mushroom is made completely out of items I already had around my home....And It's Beautiful!! I spend allot of time in my backyard, in my gardens. I bring my crafting ideas outside with me. My gardens/yard are done mostly with repurposed Items. Adult Supervision is recommended for hot glue and epoxy use! Look What My Husband Made This Time!! Pictured is a fully usable Mini Outhouse made for my 5 1/2 year old daughter. Great for emergencies, when your little one just can't make it all the way back to the house! What amazes me the most is Shawn made this completely out of ''Extras'' from previous projects. Solar Powered Lights: Made from broken outdoor solar lights, and broken bubble gum machines(The small Dollar store ones). The bubble gum machine tops are used as light shades. Siding, shingles, & wood: All left over from previous projects. Our old potty seat, cut to size. Left over floor tiles, and a used towel holder for the toilet paper. At night the moon window is illuminated by the solar powered lights inside.